These sweet little baby booties will look adorable on baby girl or baby boy. 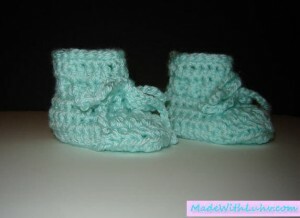 My sister, Mary Christi crocheted these baby booties. They may be handwashed and lay to dry. They are tiny booties for newborns, with their sole just under 4 inches long. Get these cutie-patootie booties today for baby. 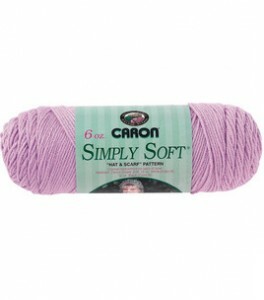 NOTE: At time of this post, Caron Simply Soft was on sale for just $3.36 each skein -- Super 25% off Discount! We found the best price for Caron Simply Soft Yarn at JoAnn's -- they even beat Walmart, Michaels & other Craft sites and stores.